Where can I find somebody to mount my wire wheels and tires? What is the difference between steel belted radial tires and bias-ply tires? How to keep your white wall tires white. How do I keep my whitewalls clean? For simple clean-up, use soap and water. We have brought to market our own whitewall tire cleaner that can be found by clicking this link. For over-the-counter type products, you may use Mr. Clean Magic Eraser or Simple Green Extreme. Avoid products that contain strong cleaning agents such as bleach or lye. Products like Comet Cleanser, Ajax, Brillo or Bar Cleaner have bleach in them and these chemicals will cause yellowing and cracking of the whitewalls. Do not use Armor All on whitewalls. Sadly, some products that are designed specifically for cleaning whitewalls have bleach in them, so, be careful. What is the difference between bias-ply tires and radial tires? Bias-ply tires are: 1) Most authentic, period-correct look for a vintage car. 2) Less expense generally. 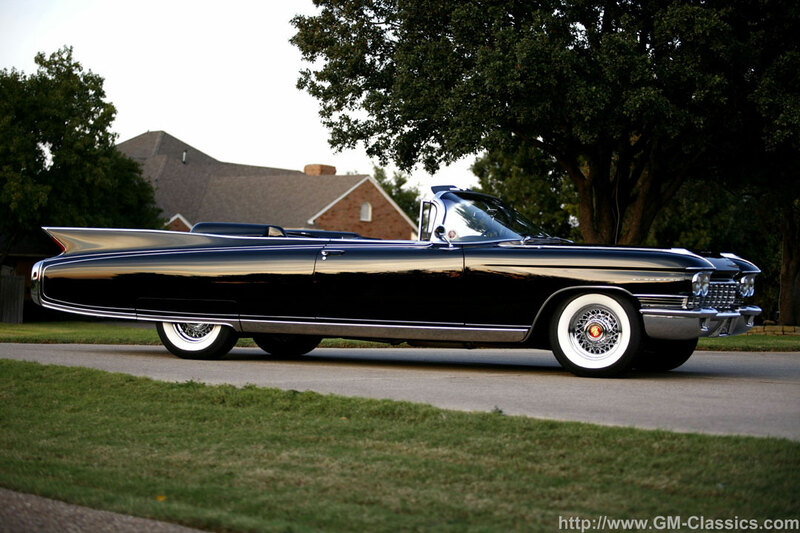 3) In most cases, wider whitewalls and more choices of brands and whitewall sizes and appearances. 4) The most notable appearance features are the straight up and down or vertical side walls, the attractive "pie-crust" edges of the tires that resemble scallops and the period-correct looking tread patterns. A good example of a bias-ply tire with a wide four inch tire can be seen on this link: BIAS PLY TIRE. The disadvantages of bias-ply tires are that they do not ride as nice as steel belted radials will or perform as well on cornering or in wet conditions. They tend to follow cracks or seams in the pavement and they will "flat-spot" if they sit too long without use, although the tires will smooth out after driving for a given distance. If you are running bias-ply tires presently that are over 9 years of age, they are probably in need of replacement and new bias-plys will probably perform much better than outdated rubber will. Bias-ply tires probably will not have as long of an estimated tread life and may not have a high enough speed rating if you have a need for speed. Steel-belted radial tires have: 1) Superior ride and performance. 2) Attractive design. 3) Period-correct appearance and whitewall stripes for more modern cars. 4) Longer tread-life and 5) Speed rated for higher speed driving. The disadvantages are: 1) Higher cost. 2) Can cause cracking or harm to antiquated wheels. 3) May detract from a vintage presentation on an older car. 4) In tight quarters, a steel belted radial may be wider than needed and could rub or make contact with a fender skirt or body panel. Please click here to see a fine example of steel belted radials on a collector car: STEEL BELTED RADIALS. Q: How do I find an installer for my wire wheels? A: Wire wheels are not quite like conventional stock, steel or aluminum wheels. The wheels that we offer are made the same way they were over 70 years ago....by hand. They do not have the same level of precision that stock, steel or aluminum wheels may currently have. Sadly, most tire shops we have encountered do not have technicians with sufficient experience or knowledge to know how to understand the proper methods and procedures to mount wire wheels or they may have incorrect equipment for the job. Most of the "Big-box" type tire stores do not have the experience, time or desire to give the extra care mounting a wire wheel may require. We have had numerous problems where an inexperienced or "rushed" installer will not properly mount the wheels and tires, improperly balance them and in even worse cases, scratch, bend or damage the wire wheel. The most important thing in selecting an installer is to find one who HAS EXPERIENCE with wire wheels. We would rather have an installer who has wire wheel experience do the job than an inexperienced installer who has the world's best installation equipment. Experience trumps equipment. Always ask the installer is they have installed wire wheels before. Some of the wire wheels we offer require inner-tubes. We have found that some shops just flat-out will not mount wheels with inner-tubes. Determine from your technician if installing inner-tubes will be a problem for them. Generally, the wheel and tire shops that cater to hot rodders, customizers, high-end wheel owners and Jaguar owners will have the most experience. Regarding equipment, familiarize yourself with our mounting instructions and try to have the installer use "Lug-Centric" type equipment such as a finger attachment or flange plates. Better yet, if you can find an installer who can balance your wheels and tires on your car, you will obtain a more precision balance. What we are typically experiencing are installation shops that use modern, high-tech type balancers that are not calibrated or set-up for wire wheels which have much different tolerances than modern wheels. An inexperienced or un-informed installer will not recognize this difference in wheel architecture and conclude that the wire wheel is "out of round" or defective and not attempt to properly balance the wheel. This situation is aggravated if the installer makes no attempt to rotate the tire on the rim or match the high and low spots of the wheel and tire to maximize the balancing results. 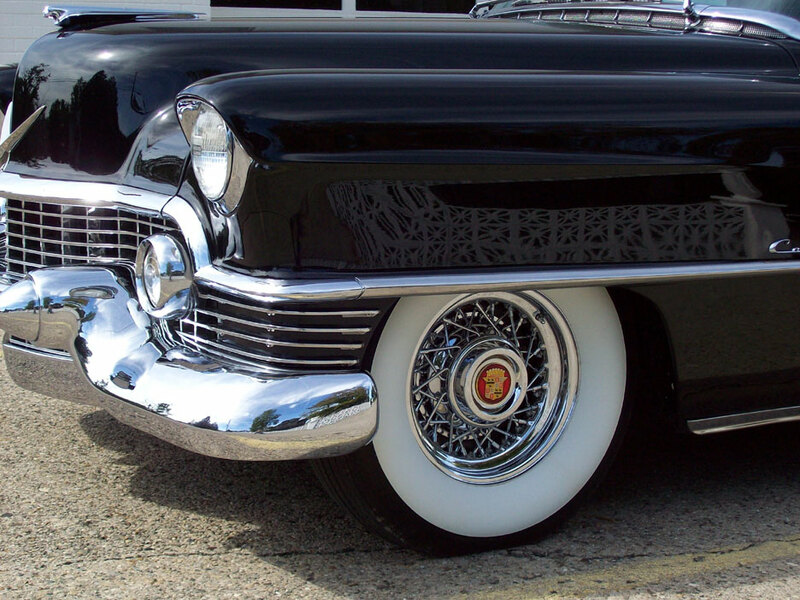 Wire wheels, especially when mounted with whitewall tires can call for large amounts of weight, sometimes over 5 to 6 ounces of weight. This is normal. A responsible installer will take steps to re-balance to minimize the required weight while others won't spend the time or will misinform the customer that something is wrong with the wheels and tires. An additional concern to be aware of is that some tires, especially older or worn tires will make it difficult to obtain a precision balance when matched with wire wheels. We recommend making sure your tires are less than 7 years of age and in good condition. If you take your wheels and tires off of your car, be certain that you re-install them in the same location. If your wheel and tire came off the left front of the car, please return the wheel and tire to that position. This is very important. We are always a phone call away if you have any questions. Let us help you obtain the best possible balancing for your new wheels. Finally, consider purchasing a wheel and tire package from us that has the correct tire properly mounted on your wheel. You will have a much smoother installation doing it this way and probably will end up saving money and time.